Industrial, alternative and established culture happily co-exist and even mingle in Linz, as can be seen in the recently opened exhibition ‘Der nackte Mann’. 2009 was the year in which the Upper Austrian city of Linz reinvented itself. As the Cultural Capital of Europe, the city on the Danube, always having to bear the flaw of being Hitler’s favourite city, attracted crowds of visitors from all over the world. Linz has changed. The city profits to this day from its successful concept of combining old with new, tradition with future. If one uses the Danube as travel path – be it by bicycle on the famous cycle route from Passau to the Black Sea, be it aboard one of the increasingly popular river cruise ships – the diversity of the city becomes apparent upon arrival. The baroque pilgrims’ basilica “Sieben Schmerzen Mariä” on Pöstlingberg towers high above Linz on the left bank. 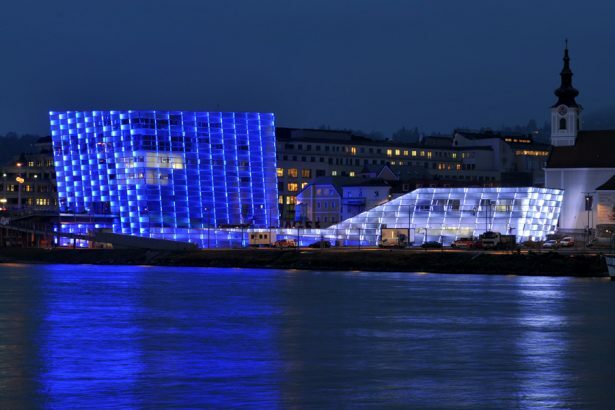 One of the iconic buildings of the new Linz stands directly on the right embankment of the Danube: Lentos Art Museum, illuminated in red and blue at night. A special exhibition on the topic of “Der nackte Mann” (The naked Man), open since October, shows i.a. works by Andy Warhol, Keith Haring, Pierre & Gilles and Gilbert & George, that provide for sufficient gay factor. 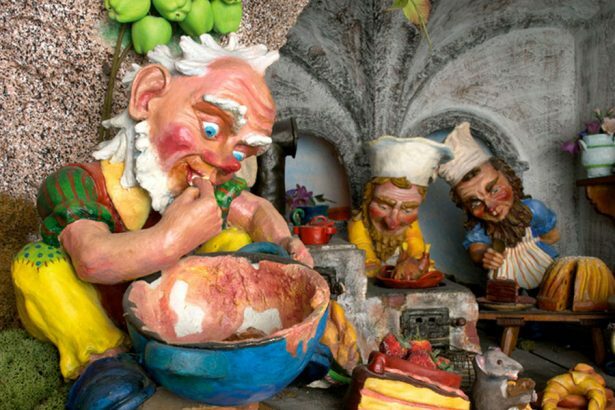 It is usually cultural highlights like the aforementioned exhibition, ‘Pflasterspektakel‘ or ‘visualisierte Klangwolke’, which attract gay visitors to the city time and again. Linz is a well-known place for lovers of classical music, and Bruckner Festival in September is one of the big Austrian music events. Even the 2012’s festival motto, “Classically different”, might imply are reference to homosexuality, but it doesn’t. The real Bruckner fan might not care much about this, his interest is probably rather in St. Florian monastery on the outskirts of the city. Anton Bruckner lived here from 1845 to 1855, played the large organ and was buried in a crypt directly under his beloved instrument. But back to Linz and to the Danube embankments, where there is another highlight of modern architecture, just across the river from Lentos Art Museum. Ars Electronica Festival has taken place in Linz every year since 1979. It was one of the first to deal with the relationship between man and machine and with state-of-the-art computer technology. Robots, genetic engineering, cyberspace – in the so-called “Futurelab,” specialists from all over the world are working on technologies of the future. Thanks to being chosen Cultural Capital 2009, Linz opened Ars Electronica Center the same year, presenting its very projects to visitors. The fact that the Center is the most visited museum in the city just shows how much it has been able to give up its image of a remote and rather unspectacular little town. Alternative art projects such as “Höhenrausch” also contributed to this. 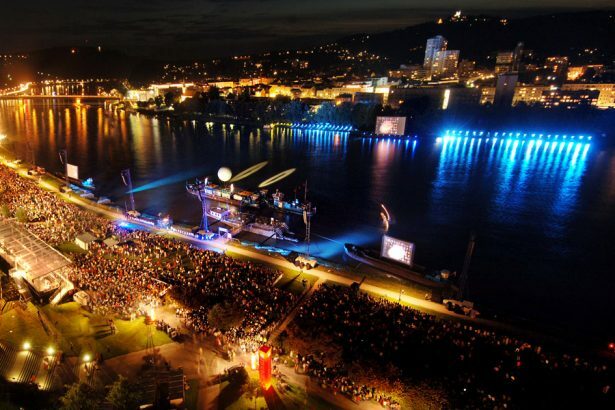 Taking place during the Cultural Capital year 2009 for the first time, it was offered again in 2011 and offered a parcours high above the roofs of Linz over parking decks and church towers, terraces and gables. In summer of 2012 the ‘esctacy caused by hights’ was extended to one stimulating your senses – featuring many new elements. 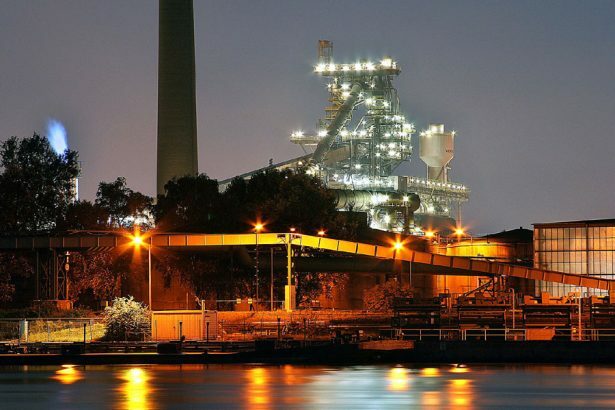 A visit to the Voestalpine steelworks could also be described as an fundamental experience. This monument to industrial development was founded in 1938 as Hermann-Göring-Werke. The works form part of Austrian Voestalpine AG in these days, an international steel group with over 40,000 employees. During a “Stahlwelt” factory tour, you should not only visit the futuristic company museum but have a look also at the hall hosting the blast furnace. It is particularly impressing to see glowing hot steel emerge when the furnace is opened. Far less heat is required to produce another product Linz is famous for. Linzer Torte, topped with red currant jelly and its significant dough lattice is more like a tarte, but culinary ambassador of the city all the same. You should definitely allow time for coffee and cake and take a break from all the cultural hightlights. 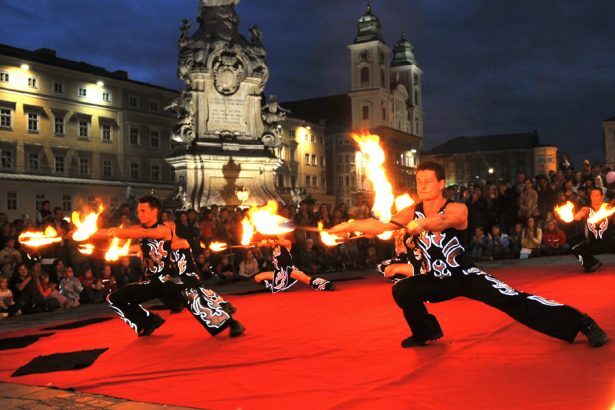 Official website of the city of Linz, providing useful information various tips and an overview of events.